no exclusions for pre-existing conditions. With low member-only prices on prescriptions and the convenience of ordering online with free shipping or local pickup at a participating pharmacy, pet parents can spend more quality time with their pet. Cash back of $1 for new subscriptions only. Cash back is not available on renewal subscriptions or on any prescription items. 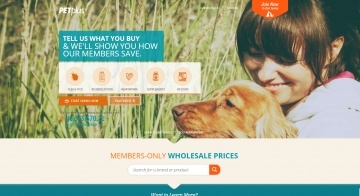 Click a Coupon or click Start Shopping to earn 9% Cash Back at Pet Plus.